A little tube of magic for smiling eyes, this fragrance- free, light-as-silk lotion strengthens the most delicate skin while reducing clues to your age. Laugh lines and wrinkles fade, skin regains luminosity and is protected every day from free radicals. 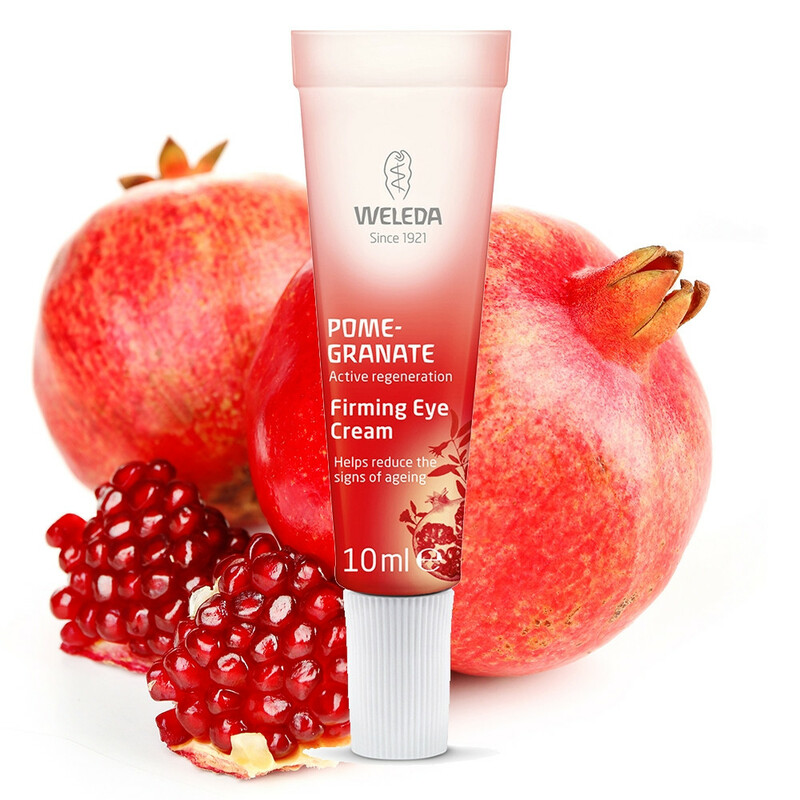 With organically-grown pomegranate and golden millet to aid cell regeneration – now all you need to do is smile. Usage: Gently pat a pearl-sized amount around the eyes every morning and evening after cleansing. Ingredients: Water (Aqua), Sesamum Indicum (Sesame) Seed Oil, Alcohol, Simmondsia Chinensis (Jojoba) Seed Oil, Glyceryl Stearate SE, Macadamia Ternifolia Seed Oil, Butyrospermum Parkii (Shea Butter), Triticum Vulgare (Wheat) Germ Oil, Olea Europaea (Olive) Oil Unsaponifiables, Helianthus Annuus (Sunflower) Seed Oil, Punica Granatum Seed Oil, Argania Spinosa Kernel Oil, Panicum Miliaceum (Millet) Seed Extract, Ruscus Aculeatus Root Extract, Helianthus Annuus (Sunflower) Petal Extract, Xanthan Gum.